Valentin Petrov was born in 1944 in the village of Novoselovo Moscow region. He lives in the town of Istra. By education technician electrician. He worked at the All-Russian Scientific Research Institute of electrothermal equipment. Art education has not. Write oil paintings began in 1990 under the influence of fellow artists. Draws urban and rural genre scenes. Addiction author – to notice the moments of urban and rural life, included in the landscape, and to portray domestic, everyday scenes. Since 1991, Valentin Petrov, a member of the Artists’ Union of Russia and International Federation of Artists. 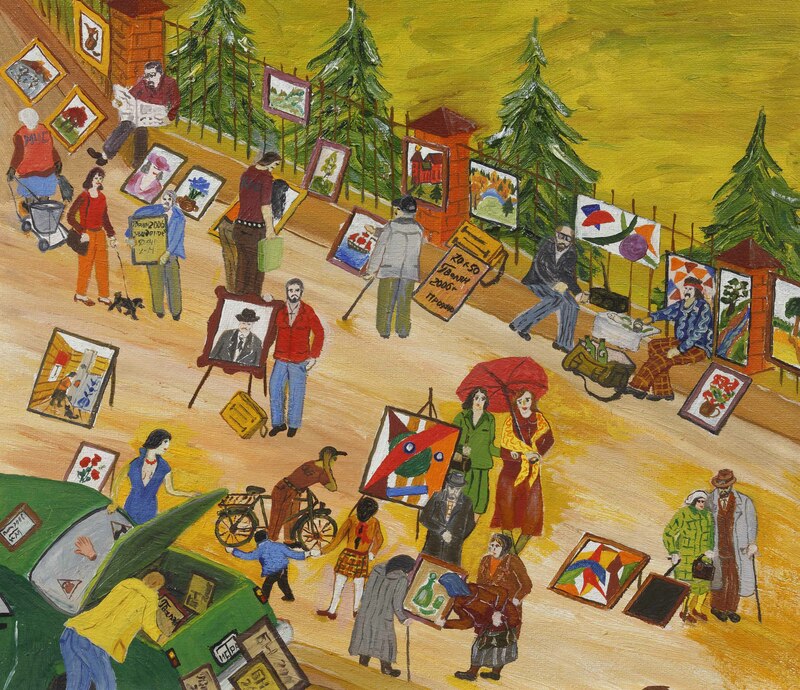 His works are in the collections of the Museum of Naive Art (Moscow), State Museum – Humanitarian Center NA Ostrovsky (Moscow), as well as in private collections in 26 countries.